Do you have a co-worker that thinks frogs are slimy and gross? Get a Splat Ball - Frog and watch them squirm. 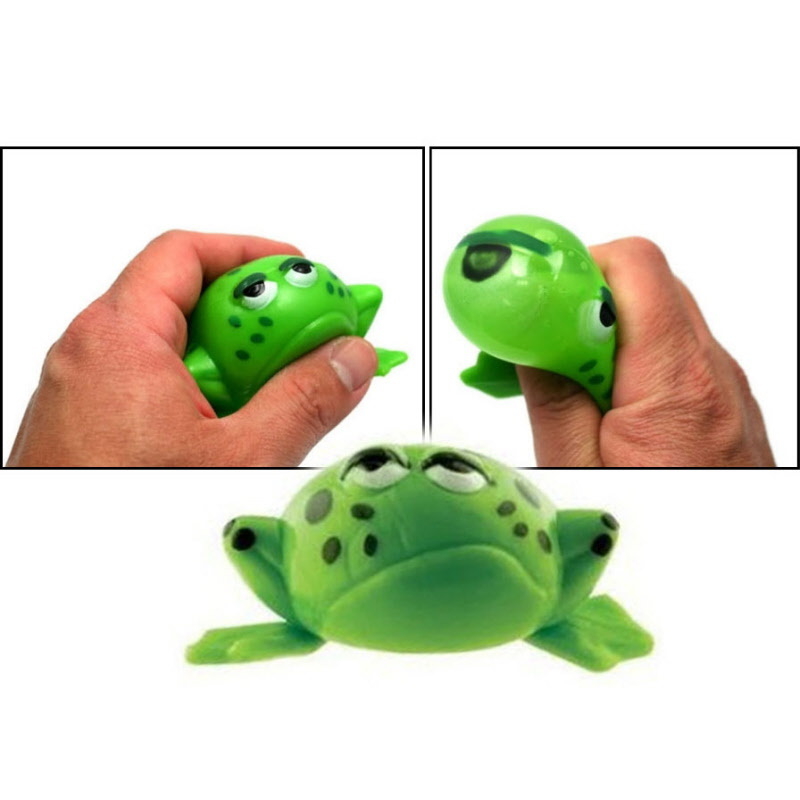 This liquid filled stress ball is fun to squeeze in your hand, but it's even more fun to throw. Toss it against a hard flat surface and it spreads out flat on impact, looking like a melted frog! Within seconds, it begins to reform to its original shape again. Throw the Splat Ball Frog near a co-worker and watch their reaction. Then you'll be laughing when it transforms back into a frog!